Every business from start-ups to SMEs to large enterprises now rely on having their own website and create a web presence. And this in a way has opened up opportunities galore for IT professionals worldwide – from web developers, web designers, SEO professionals and content marketers. 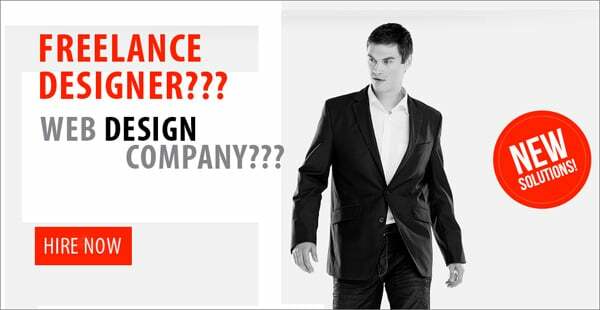 Now the BIG question is – should you hire a professional web design company for your web design projects or a freelance web designer? Well, this has been one of the most debated question prevalent in the web design industry with both the community offering their logical reasoning in support of their individual clout. Here in this article my intent to take a neutral stand and understand the intricacies of both freelance web designers and Web design companies and how it affects the overall process. Offers Expansive Portfolio. A professional web design company has its advantages of coming with an expansive portfolio, where you have the added advantage of seeking immediate professional help related to a project regarding other development or project management issues. Provide Extensive Platform. A web design company provides you the extensive platform to hire a designer from a team of web design professionals or choose the kind of services that matches up to your project requirements. Professional Attitude. Web design companies are more likely to maintain a professional attitude in dealing with projects as they mostly prefer and are hired by top-notch companies and prominent clients – this confirms their ability to provide consistent high-quality services. Additional Frills. Another advantage of hiring a web design company is that being an established entity, they are likely to offer a wide range of services and additional frills like in-house analysts, copywriters, business development managers, social media managers, etc. to assist you across various aspects of a website design project. Dedicated Project Manager. Most professional web design companies are relied on because of their project management system headed by a dedicated Project Manager who ensure a conducive workflow process from planning, design, development to deployment. Cost-effectiveness is the Key. Professional web design companies might cost you a little more than independent providers; however, in comparison to the comprehensive services, the professionalism and the expertise it offers – proves to a better cost-effective solution for your web design needs. Luck plays a crucial role here because, if you are lucky you might bump upon a freelance ‘design connoisseur’; but there is a strong possibility that you waste your time, money and energy in dealing with an amateur, inexperienced and unprofessional web designer. When it comes to offering comprehensiveness in service, freelance web designer take the beating as it is not feasibly possible of have an all-inclusive portfolio, like a professional agency can manage to have. Hiring an independent web designer can be critical for your business as freelancers are usually a one-man show or a team comprising of a handful of designers, who may falter in delivering web design projects as per project guidelines or designated timeframe. In case of litigation, freelance web design can be a real pain as professional entities have better processes to handle a situation and are accessible for answer, which however will not be possible for someone sitting remotely without any credible contact information. A freelance web designer might be a cheap option, but remember just as it is not advisable to ‘avoid a discount doctor or a discount lawyer’, choose your web design company wisely. Remember, the frills and the range of services that comes with a professional web design company cannot be overlooked. Hariot Marks is a professional web developer associated with a leading web design company in India. She loves to write articles on various topics such as web development, WordPress development, and web and mobile application development. Her articles have been very useful for the readers.